Early this Summer we brought you a first look at an intriguing three-piece set of Air More Uptempos with embroidered silhouettes of European cities on their heels. As it turns out, these three tastefully colored selections make up the highly anticipated EU City Pack, with iterations paying homage to three of the globe’s most iconic metropolises. 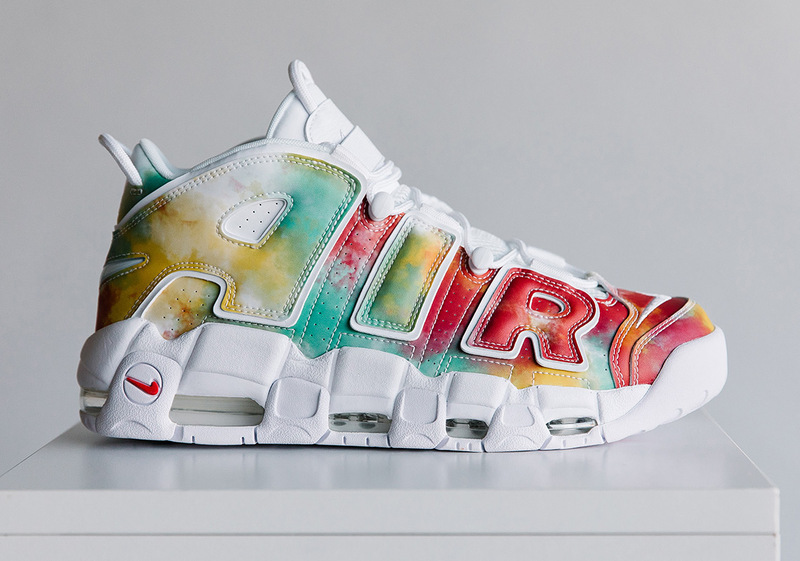 London’s version of the Uptempo utilizes a watermelon-like color scheme to play off the vibrant and diverse city culture, while Milan’s pair sports a more noticeable inspiration, drawing its color scheme from the recognizable green, white, and red stripes of the Italian flag. Finally, Paris round out this collection with the simplest look of the bunch, coming done up in a sleek black and gold finish. All three pairs are set to release early on FootLocker.com exclusively in the United States on August 14th, with stock hitting FL shelves in the States the next week on the 25th. Grab an up-close look at the three EU City Pack Uptempos below and tell us which city you’ll be representing this Fall.